Call or email today! Our staff will respond as soon as possible. We strive to provide comprehensive, compassionate, complete mobile veterinary care for all your pets & livestock! 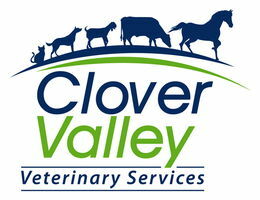 Welcome to Clover Valley Veterinary Services, a 24/7 fully mobile emergency mixed animal veterinary practice. We travel the entire Kitsap and Key Peninsulas, including parts of Jefferson and Mason County, enabling clients and their pets or livestock to receive the best on-site veterinary care. Dr. Maci Paden started CVVS as a solo equine mobile practice in 2011. Since that time, the practice has grown to 3 full-time veterinarians and 6 support staff, who all have a passion for providing the best veterinary care and client relations to individuals in Port Orchard and the surrounding areas. With state-of-the-art digital x-ray, endoscope, ultrasound and cold laser therapy, and offering alternative therapies through animal chiropractic, the Clover Valley Vet team will treat horses, cattle, sheep, goats, pigs, llamas, alpacas, dogs and cats. Besides offering preventative healthcare and emergency care, Clover Valley Vet is honored to provide gentle in-home euthanasia and cremation services for those furry friends we are forced to say good-bye to, but will never forget. As a firm believer in continuous education, both for our staff and for clients, Clover Valley Vet is a member of professional organizations including the American Veterinary Medical Association (AVMA), American Association of Equine Practitioners (AAEP), American Association of Bovine Practitioners (AABP) and the American Association of Small Ruminant Practitioners (AASRP). Clover Valley Vet is also proud to host 4th year Veterinary students throughout the year for mentorship and education as adjunct faculty at Washington State University School of Veterinary Medicine. Our clinic plays an active role in the community, offering support, information and resources to local 4-H clubs and FFA chapters as well as local equine organizations. We feel it is our responsibility to help educate individuals about animal management and husbandry, while also giving back to the community that helps support us. Compassionate, Quality Veterinary Care in Port Orchard, Bremerton, Gig Harbor, Poulsbo, Belfair, Purdy, Key Peninsula and surrounding towns. Our mission states that ‘through effective communication, respect and a fun, shared, learning environment, we continually strive as a team to provide compassionate, progressive, quality veterinary care.’ We invite you to give us a call or email us today. Happy to answer any questions you may have, we look forward to scheduling an appointment and starting a lifelong relationship of trust and care as your "other-family doctor". We cover large animal (horses and livestock) emergency care in Pierce, Mason, and Kitsap Counties. We have haul-in facilities for cases requiring intensive veterinary care and close monitoring. At this time, we do not offer small animal (dog and cat) emergency care; please see this link for referral information. Providing veterinary care in Port Orchard, Gig Harbor, Poulsbo, Belfair, Purdy, Key Peninsula, Bremerton, Seabeck, Silverdale, and surrounding areas. A hard worker with an ambitious attitude, Kendra joins our team from the midwest where she was raised on a dairy farm in Eastern Kansas. Her love of both large and small animals was fostered through the local 4-H and FFA programs. Continuing her passion, she attended Maple Woods Vet Tech school and graduated Valedictorian in May 2015. Kendra enjoys exploring the Pacific Northwest with her husband David, her gelding Mick and their Golden Retriever Maddie. With a can-do attitude, Alysha is a hard working individual whose love of horses and livestock make her a great asset to our team. Having grown up in western Washington, she pursued higher education and veterinary experience while living on the eastside before making her permanent home in Kitsap County. In her free time, she enjoys hiking with her family, riding her gelding Sterling and gardening. Linda is a native to the local area growing up in Bremerton, living many years in Port Orchard and now residing in the little town of Union in Mason County. LInda feels very lucky to have had exposure to animals her whole life. From working and living many years with exotics and small animals to having a small hobby farm with smaller farm animals. Linda is excited for the career change that has added the exposure to large animal medicine. Linda looks forward to every day and what this new opportunity will teach her. Amanda joins our team bringing with her love and compassion for both small & large animals. She is a proud Navy Submariner wife and mother of four. Amanda enjoys spending time with her family watching her children compete in junior rodeos, and going on outdoor adventures with their Labrador Retrievers. Tawnee joined CVVS as a part of a High School Veterinary Assistant Program in 2017, her calm and hard-working attitude makes her a valued asset to our team. In High School Tawnee was a part of her local FFA chapter, she found her passion for animals in showing swine and competing in the Vet Science Team. Growing in Kitsap County Tawnee has also enjoyed being apart of a competitive soccer team. Ella joined the practice in the summer of 2018 but she is no stranger to the Kitsap Peninsula! Ella grew up just 'over the hill' in Manchester on her parent's beautiful farm and horse boarding stable. She spent a couple years in Ellensburg, WA studying at Central Washington University before returning to her home town. Ella likes to hunt, fish, ride her Quarter Horse Cruz, spend time with friends, family and her Aussie Xander. Sarah joined the team at the end of the summer in 2018 after finishing a year-long internship with Miracle Ranch. At Miracle Ranch, Sarah was a supervisor for the Wranglers-in-Training program, leading the 'Wranglers' in proper horsemanship and husbandry. Before landing in Port Orchard, Sarah was deeply rooted in the 'Wrangler' life! She grew up in Kelso, Washington with a large crew of dogs and horses. We were excited to have Katie join our veterinary team in the Fall 2018. Katie had been one of our original clients -with us from the very start in 2010! Katie grew up in Port Orchard riding and showing horses and raising dogs and farm animals. She is especially great at training her pets (horses, dogs and goats!) to perform amazing tricks! And you might see her and her amazing furry friends at the Kitsap County Fair. "Thank you Dr. Paden and all of Clover Valley for your outstanding care or our sweet Pooka. Your willingness to try alternative therapies and treatments meant a lot to our family. The compassion and gentleness you showed not only Pooka but all of us during her last moments made a very difficult time more bearable." "Dr. Maci Paeden is not only a wonderful person...she is a damn fine Vet. Maci managed my horses through insulin resistance and also my little pomeranians various illnesses. Maci is directly responsible for referring me to a cancer specialist to diagnose a mouth tumor in my little dog. It saved her life. I thought it was hopeless. Maci zeros in on the problem...is confidant in her diagnosis and DOES NOT spend your money for unecessary testing... She is special and the staff as well. They truly care. Thank you Maci!!!" "Our Jack Russell tweaked his back after jumping up on a fence to chase a cat. After days of pain, we took him to see Clover for chiropractic treatment and he was good as new after just a couple of quick visits. Nice, friendly educated staff- I highly recommend."